The little pocket supercomputers we all constantly carry around with us aren’t just supplying us with useful information, they’re also collecting a host of data on us and our habits, all of the time. Here’s a guide to what gets collected by your smartphone and the apps running on it, and how you can take back some control. 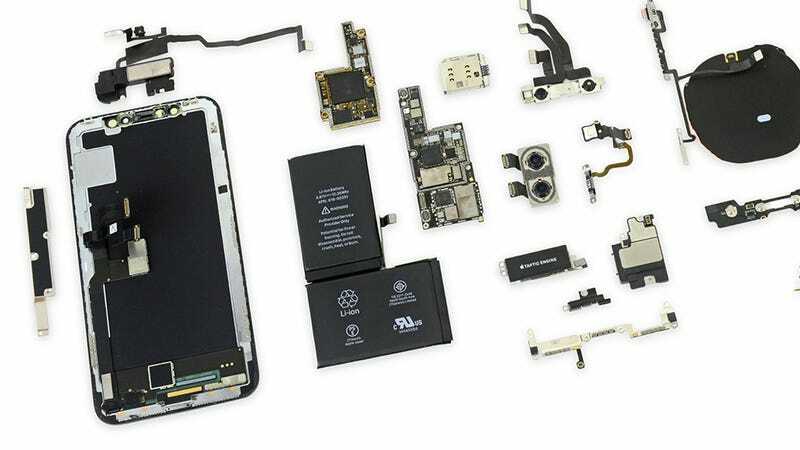 Your smartphone is packed with sensors, monitoring where you are in the world, how fast you’re moving through space, which way up you’re holding your phone, and more. All of this data is used by apps to improve the user experience—so making sure your phone apps switch between landscape and portrait modes, and keeping you on the right route for your commute—but how much of this data is logged and stored is largely down to the choices of the handset manufacturer. In recent months OnePlus has been at the centre of a privacy kerfuffle over the way it was logging personally identifiable information (like device IDs) and transmitting that data back to OnePlus’s home base, ostensibly to improve the device’s user experience. OnePlus has since dialled back some of that data collection, and promises to only use the data it gathers internally, but it shows just how much data your smartphone can reveal, and how tricky it can be to know what’s being collected and what isn’t. Face ID is another good example of how Apple differentiates itself on privacy. 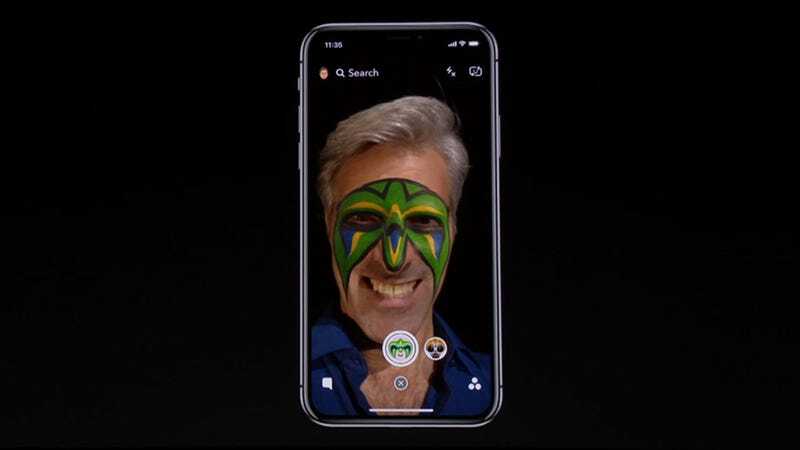 The Face ID sensors map and know everything about your face, but that information is then stored privately and securely on your phone—it isn’t transferred back to Apple or iCloud, making it very difficult for anyone to get a copy of your face. On top of the basic information collected by your smartphone and beamed back (or not beamed back) to the company that made your handset, there’s all the information collected by the apps you run too—the data that gets recorded and saved is down to an individual app’s privacy policies and the permissions you give it. If you want to know exactly what an app is allowed to track on your Android phone, open the Settings app then go to Apps & notifications, choose an app, and select Permissions. Over on iOS, launch the Settings app then pick an app to see the permissions it has. 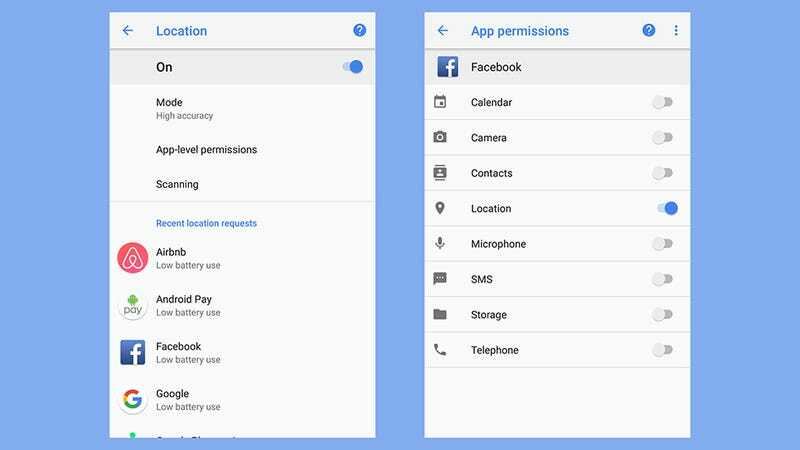 Most of these permissions can be revoked with a toggle switch on both Android and iOS. Even when you think you know what’s being tracked, it’s not always clear-cut: Developer Felix Krause recently revealed how granting an app permission to see photos on your device also lets that app see where you’ve been because all of your pictures have geotags on them by default. 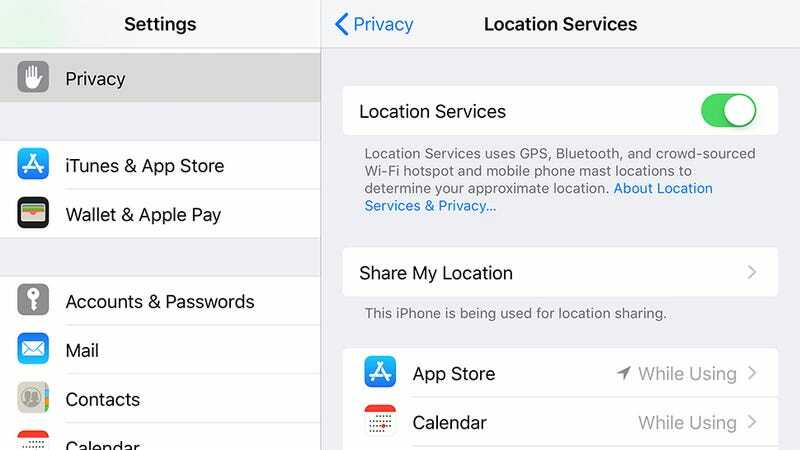 Even if you’re blocking an app from tracking your location, it can probably still work out where you live and where you go on holiday most often through your stored pictures. Of course, whether the app actually will harvest this data for whatever purpose is again up to the developer. Just when you think you know what an app is and isn’t tracking, you find out that Uber was secretly recording iPhone screen activity, supposedly to improve functionality with the Apple Watch app. If you want to take Uber’s word for it, the feature was used to do the job of map rendering on the phone before transferring it to the wearable, but it’s another example of just how in the dark end users can be. Head to the web in your mobile browser of choice and all the data we’ve previously talked about being collected online comes into play again here—your searches, the device you’re on, where in the world you are, and so on. There are two layers to the tracking: the data tracked by your browser app, and the data tracked by the sites you visit. Again, that’s down to the apps and the services you’re choosing to use. Google Chrome, you might not be surprised to know, logs a ton of data, including your browsing history and thumbnails of the sites you visit, and of course if you sign in with Google too then all of your activity feeds back into your Google profile by default. Safari tracks a lot of the same data as well, though in line with Apple’s policies it keeps much of it saved locally on the device, and now includes tracking blocking tools for stopping advertisers from following your browsing behaviour across the web. As you can probably tell, getting a handle on exactly what data is collected, and then how that data might be used or passed on to third-parties, isn’t easy—these policies are couched in ambiguity to give the manufacturers plenty of leeway. Samsung, for instance, as per its policy, might collect GPS information from your phone, might pass your voice searches on to a third party for speech-to-text conversions, and might share all this data with business partners who might use it to advertise to you. That’s a lot of mights and maybes. Ultimately, if you don’t like the deal, you don’t use the phone. But there are certain settings on your handset you can use to block devices and individual apps from harvesting as much data as they’d perhaps like to. 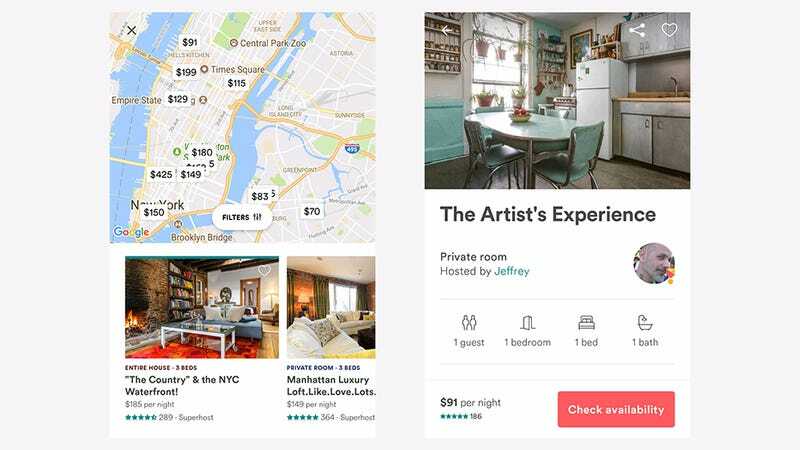 Location tracking is a big one—very valuable to both end users and advertisers alike. On (stock) Android you can disable location tracking on the device as a whole by opening Settings, then tapping Security & location and Location, and then turning tracking off. 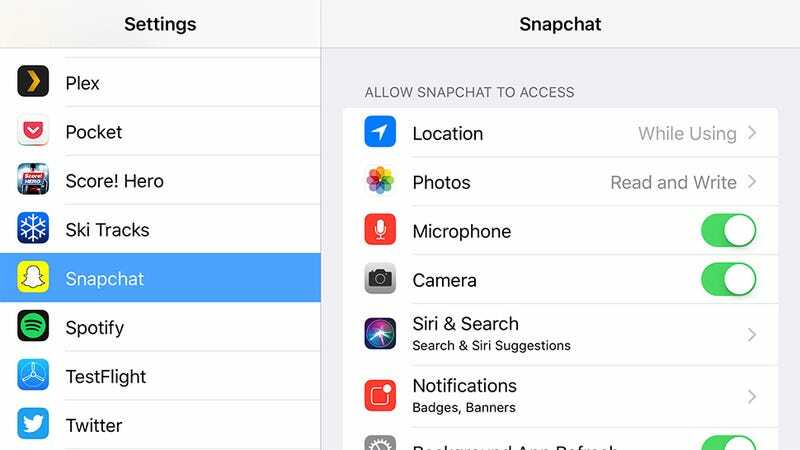 On iOS, open Settings, then go to Privacy and Location services, and disable the feature. From the same menus, you can turn off or limit location tracking on an app-by-app basis. We’ve already spoken about editing individual app permissions, either through the Apps & permissions menu in Android Settings, or by tapping on an app name in iOS Settings. Most of these permissions are self-explanatory, such as access to your calendars and contacts, but you can also control whether or not apps can pull data from the motion sensors in your phone (for counting steps and so on)—this is labelled Body sensors in Android and Motion & Fitness in iOS. As far as Google is concerned, you’ve got a whole host of options to manage, covering Google’s apps on Android, iOS, and everywhere else. If you open up your Google account page on the web, then pick Personal info & privacy, it’s possible to change the way data is collected (via Go to Activity Controls) or erase some of the data Google already has on you (via Go to My Activity). For instance, you can see and erase all the voice searches that you’ve run through Google Assistant on your phone. Individual apps may have specific settings and privacy options you can take advantage of, though most won’t, and few app developers will be as interested in collecting data about you as Google. Facebook is one exception, and we’ve written before about how Facebook follows you across your devices and how you can limit this to some extent. In the end, your smartphone use is helping to build up a picture of who you are and the kind of advertising you’re interested in for companies like Google, Facebook, and others—even if an app isn’t part of a massive advertising network, it may well sell its data to one. Apple stands apart in this regard, keeping the data it tracks for its own use and largely on a single device, though of course, the apps that run on iOS have more freedom to do what they want. Even if you’re reasonably content to put up with some monitoring on Android and iOS, it’s important to know what kind of data you’re giving up every time you switch your smartphone on. Whether it means you uninstall a few social media tools, or disable location tracking for a few apps, it gives you some semblance of control over your privacy. This story was produced with support from the Mozilla Foundation as part of its mission to educate individuals about their security and privacy on the internet.